Ever wondered who the board of directors are for The One Less Foundation, or thought about what how to become a board member? Now is your chance. 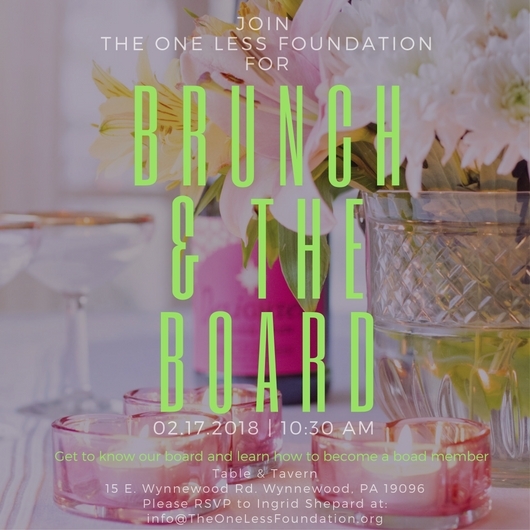 Join us for brunch with our board for a great food, mingling and information.